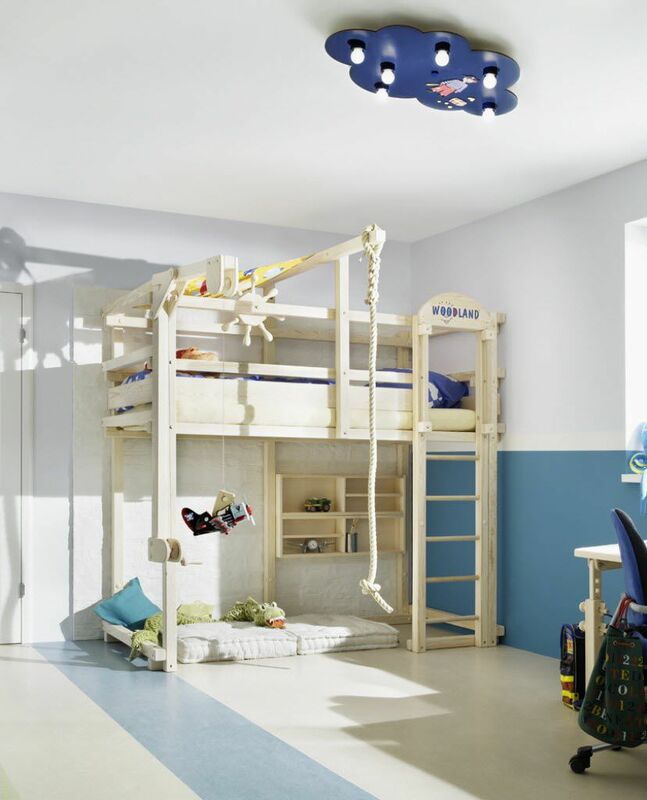 The MILWAUKEE bed shelf provides additional storage space on the bunk bed and loft bed. Children love to have their favourite toys, an alarm clock or simply little books around. Instead of finding all these things lying around in the mattress area this is the right choice to consider this simple but useful accessory. 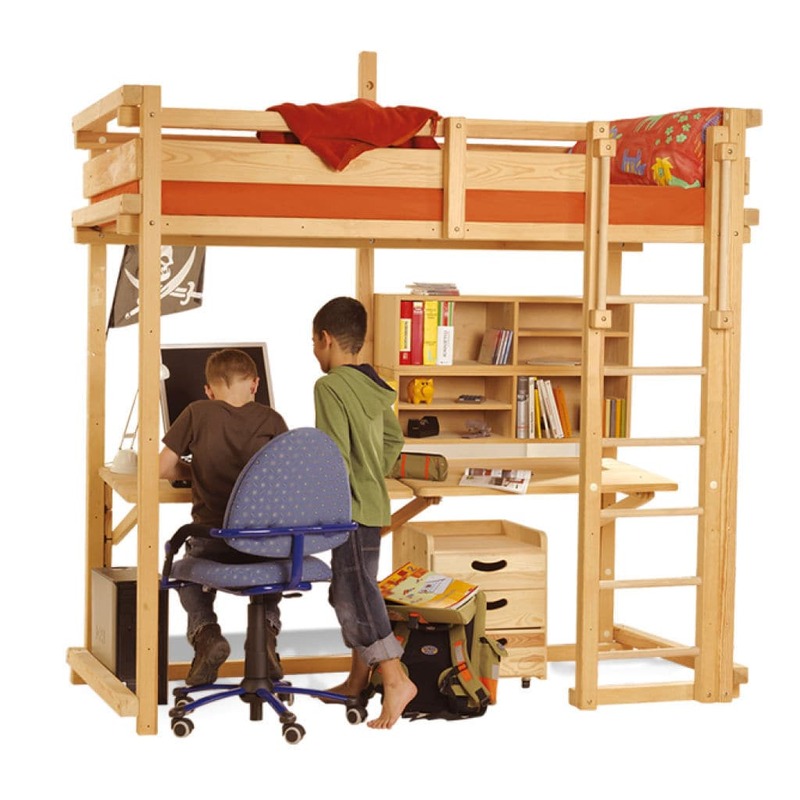 It is possible to assemble the shelf between two vertical beams on the long side of the upper and lower bunk. On the long side you can place two next to each other. You can also attach it to the head or foot side of the bed underneath the upper bunk (height adjustable). If you prefer to attach it to the head or foot side of the upper bunk you just need to take off the middle guard rail beam. The front edge of the shelf with the depth 12 cm can be pushed outside towards the wall, so that it does not extend into the sleeping area. 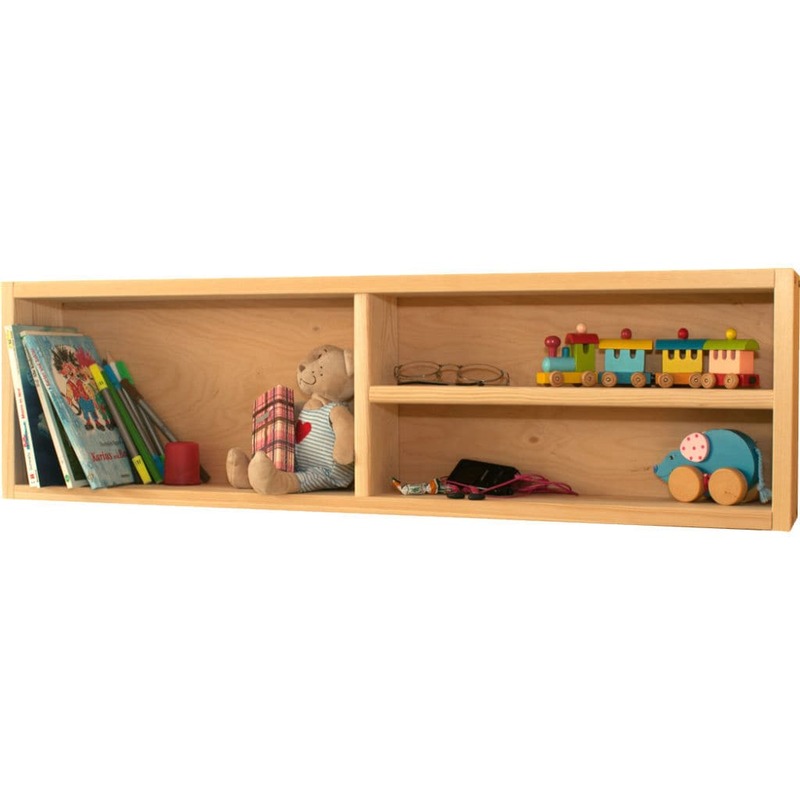 The MILWAUKEE shelf with the depth 30 cm is recommended to be attached underneath a loft bed and used in combination with a NASHVILLE desk. If it is used in the sleeping area it would extend over the mattress. It is not possible to attach a MILWAUKEE bed shelf if you use our CONNY porthole, NEW CASTLE knight or LILLY princess boards at the same spot.